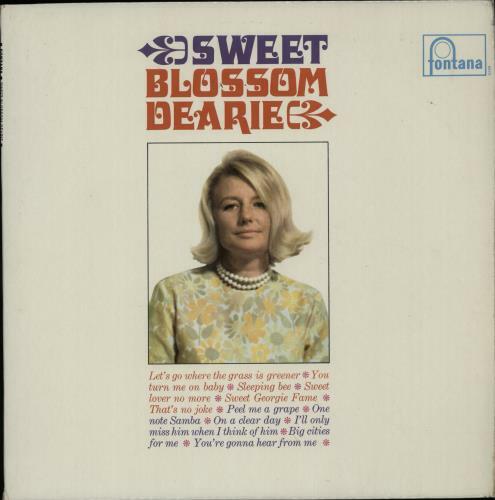 BLOSSOM DEARIE Sweet Blossom Dearie (1967 UK 12-track stereo live LP, the second live album Dearie recorded at Ronnie Scott's Jazz Club, front laminated flipback picture sleeve with tributes on the back from Dudley Moore, Ronnie Scott, RichardRodney Bennett & Scott Engel. 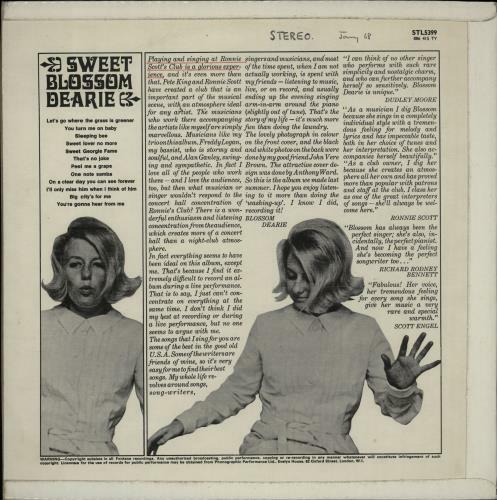 The sleeve shows just a little light shelfwear & the vinyl has just the odd light sign of play leaving it Excellent STL5399). 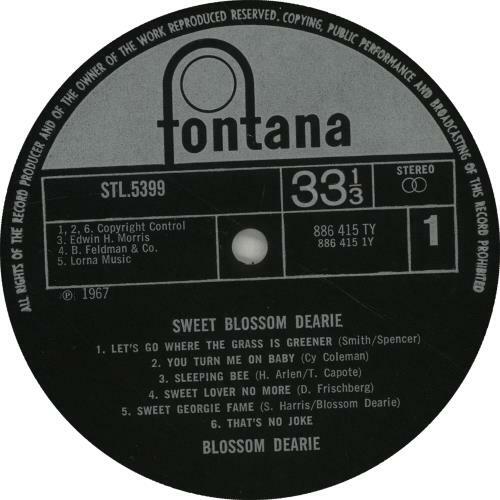 or visit our Blossom Dearie image gallery.